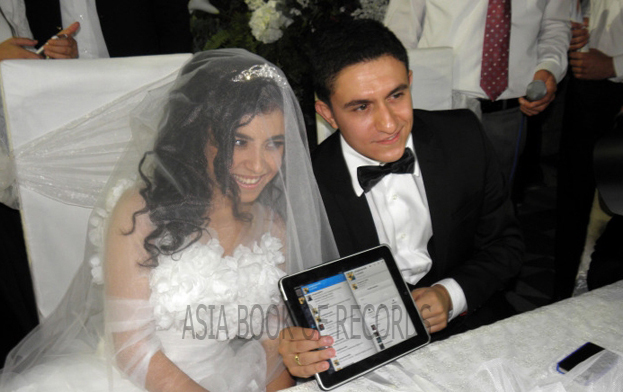 Cengizhan Celik and Candan Canik (Turkish couple) tied the knot using the micro-blogging platform ‘twitter’. The groom Cengizhan Celik (@cengizhancelik) and the bride Candan Canik (@CandanCANK) exchanged their ‘I Dos’ by mentioning their would-be partner and tweeting ‘Evet’ online. They were on their iPads throughout the marriage ceremony. Mustafa Kara, the local mayor, officiated the wedding and requested the couple to exchange vows via the micro-blogging platform. Comments for MARRIED VIA MICRO BLOGGING PLATFORM are now closed.